Type MFE | S.A. TROX Belgium/TROX Belgium N.V.
Mini Pleat filter elements MFE for the separation of fine dust and suspended particles such as aerosols, toxic dusts, viruses and bacteria from the supply and extract air in ventilation systems. Large volume flow rates and long filter life due to the very compact, modular structure. Filter medium is made of high-quality, moisture-resistant glass fibre papers, with spacers. Mini Pleat filter elements are available in all commercial sizes, filter classes F9, E11, H13. 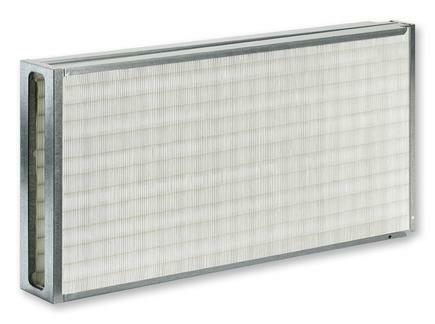 The filter elements are joined together by a special adhesive tape which also provides an air-tight seal between the filter elements and the mounting frame or installation casing. The special adhesive tape must be ordered separately. 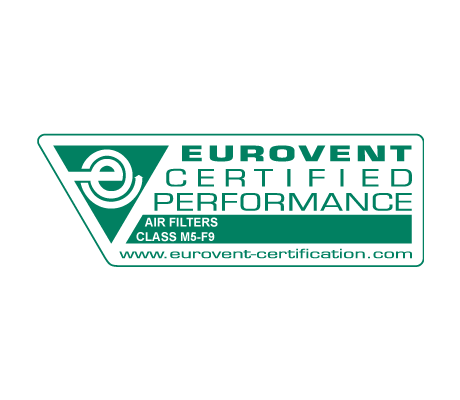 Mini Pleat filter elements used as fine dust filters are certified by Eurovent.